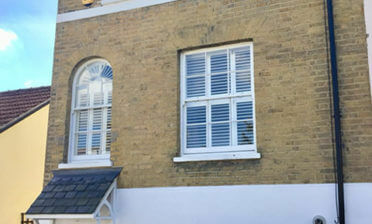 Shaun and Roy were in one of our local areas Beckenham, Kent to fit some shutters for a new client. They were looking for a window dressing which would create a luxury look to their square bay window while also finished in keeping with their existing colour scheme of the room that the client had designed. 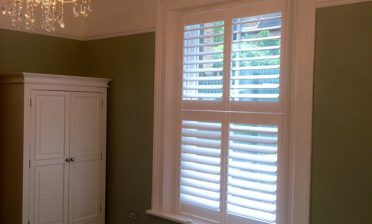 We love to work with customers who are renovating or changing rooms of their home, installing shutters that create the perfect finishing touch and focal point of any room! 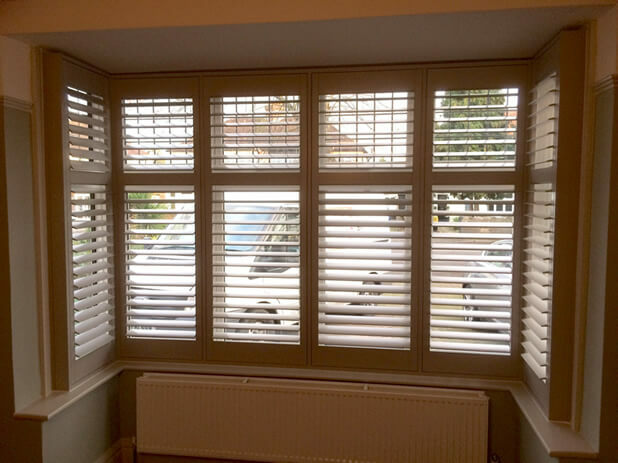 This client was keen to have some of our bespoke shutters installed as they felt that shutters would look great from both inside and outside of the home compared to other window dressings and was impressed with the flexibility that they offer. 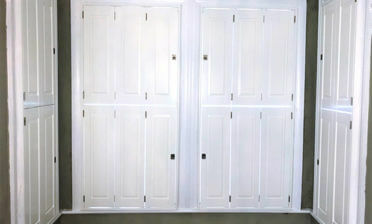 The shutters were created using our luxury Sumatra Range which is made using white teak hardwood and were created and installed to perfectly fit the customers square pay window using 6 panels in total. We matched the shutters in to the existing window by fitting a mid rail at the same height as the lines of the window, which also creates extra strength in the shutters and added louvre adjustment options. With this kind of setup you are able to adjust the top and bottom louvres independently to get the best mix of light and privacy at all times! The client opted for our Sea Mist custom colour which is quite a popular option at the moment as they felt it tied in well with the current room decor and colouring. These shutters also feature hidden hinges which is only available with our Sumatra Range and takes a higher level of skill to fit compared to shutters with standard hinges, but creates an amazing minimalistic clean finish for those that love the finer details!